A simple basket was reimagined into various products such as seats, tables, community resting spots and integrated within the architecture after a careful analysis of the different movements and postures of the human body. 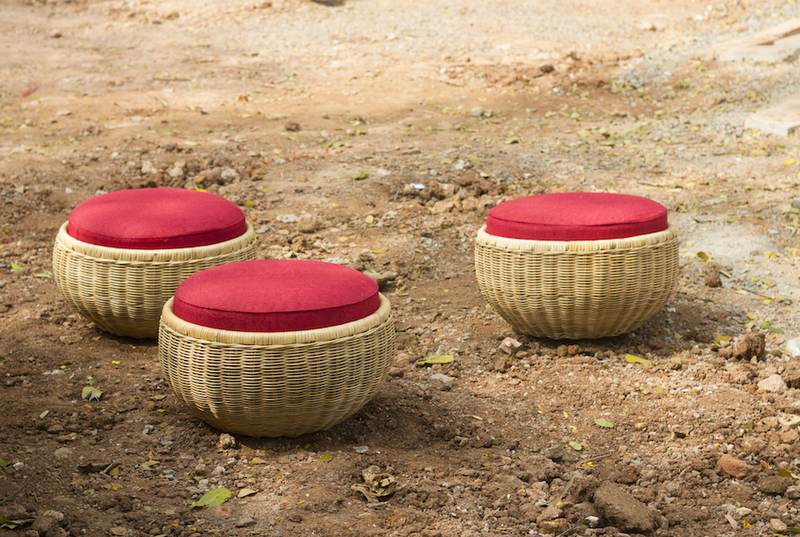 For instance, we designed a ten-foot coracle inspired basket which seats 7-8 persons, placed strategically on a green berm, it encourages the user to immerse themselves in a child-like experience. Since these pieces were to be used directly by the audience, an integral part of our design process was to analyze the different ways one would interact with the product and then carefully gave form to the function.. Be it simply sitting, relaxing or other activities such as community workshops and group discussions etc. The collections includes stools, tables, community hubs, dining spaces and relaxation spots. All the pieces in this collection have been designed using a material mix of natural cane, mild steel and sustainable fabrics such as jute and cotton canvas. One of the biggest challenges of this project have been the climatic conditions of the state. Rains are predicted in the winter months which meant that all of our furniture had to be designed keeping in mind the precipitation and its impact. For this reason, we planned drainage points in all the large coracle inspired baskets, chose to go for a natural glue lamination in the fabrics and also a basic varnish on the cane weaving. As designers, it is essential for us to reimagine the future and possibilities of the deteriorating arts and bring them back on the map for a global audience. 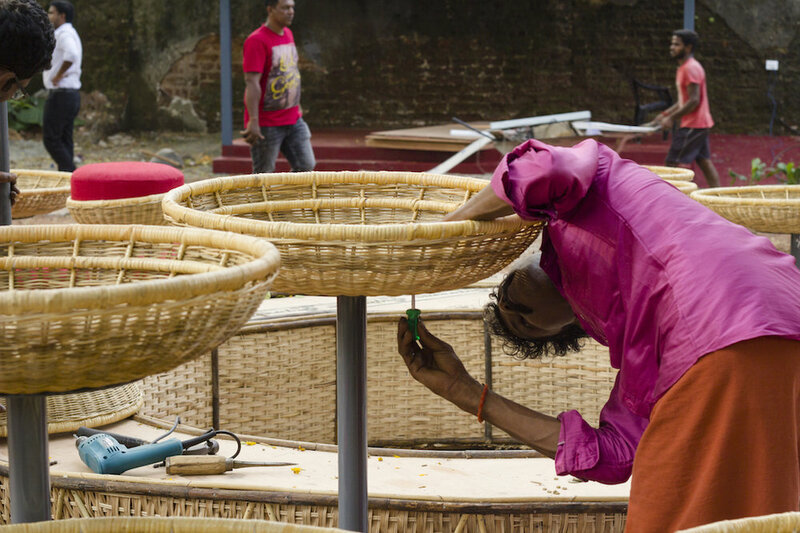 This collection of furniture has been a step towards uplifting the artisans of the flood-stricken state of Kochi, Kerala to gain momentum and opportunities through the exhibit of the pieces at the prestigious Kochi Muziris Biennale 2019. Along with the makers, the products are equally engaging for the users as they instil a feeling of unity within the environment by weaving form and function together with a distinct craft input.